September 2018 - Volume 22 Issue 3 - Software Unlimited, Inc.
K12Docs. That’s what we are calling it! Our new cloud-based, electronic document management platform allows your organization to reduce the need for long-term paper storage and manual retention policies. Software Unlimited, Inc. will be rolling out an electronic document management solution to early adopters in Fall 2018 that will be fully-integrated with the School Accounting System and add-on modules to help districts of all sizes retain electronic documents efficiently. With a flexible electronic filing structure, the storage, archival and retrieval of documents is easier, while complying with state mandated retention policies. Storage concerns are eliminated, IT costs are reduced, and record retention is automated. We are currently building a list of early adopters who are interested in being the first to implement K12Docs and help us finish the testing. Early adopter sites will receive a discounted annual fee. Please contact sales@su-inc.com if interested. We’re a little excited – we made enhancements so that the Quarterly 941 can now be submitted electronically to the IRS from within the School Accounting System! The ability to file the 941 form (and Schedule B form, if applicable) electronically should make your end of quarter process easier and faster. Complete the 941 Electronic Authorized Signers/PIN Requests option (accessed under the Government Reporting menu in Payroll) to add an authorized signer and request a PIN. Once the request has been accepted by the IRS, the IRS will mail the PIN to the authorized signer, which can take up to 45 days to receive. After the PIN is received, the authorized signer must sign the statement of receipt and return it within 10 business days from the date of the letter. Then activate the authorized signer within the 941 Electronic Authorized Signers/PIN Requests option in Payroll. Once the IRS receives the signed statement of receipt, the 941 form (and Schedule B form, if applicable) can be electronically submitted by completing the Submit Electronic File to IRS tab (screen) within the Quarterly 941s option. For more detailed instructions on adding an authorized signer and submitting the 941 electronically, refer to the Adding a 941 Electronic Authorized Signer and Requesting PIN and Submitting the Quarterly 941 Electronically topics in the Help File. Note: There can only be one active authorized signer for an organization; if needed, a current authorized signer would need to be deactivated before adding a new one (refer to the Inactivating a 941 Electronic Authorized Signer topic in the Help File for details). Also, keep in mind, a PIN is assigned specifically to an organization (federal ID), so if a person works at multiple organizations, he/she must be added as an authorized signer at each organization and request a separate PIN for each. On the topic of filing the Quarterly 941 electronically: Do you plan to start filing the Quarterly 941 electronically? If so, have you already added an authorized signer and requested a PIN? If not, what are your reasons for not wanting to file electronically? The Newsletter Survey questions for the June 2018 issue related to document storage. The survey questions and responses are shown below. There are numerous live webinars and webinar recordings available for users to learn more about a particular option or process in the School Accounting System and its add-on modules. From webinars on emailing direct deposit stubs to entering invoices or cash receipts, or from completing the Accounts Payable or Payroll check cycle to reviewing the different reports available in General Ledger, there is something for everyone! There are even webinars on creating a new budget (and making budget changes), building reports, and reviewing the checklists for the items that are completed just one time a year (end of calendar year and end of fiscal year). Many experienced users have shared that they learned a variety of helpful new tips from watching webinars. We know there is not enough hours in a day, so just request a webinar recording at any time and then view it when it is convenient for you. To access the vast inventory of available webinars and request a webinar recording, click here. As a reminder, all formal workshops, webinars, and webinar recordings are included with your annual maintenance fees, so request a webinar recording for no additional cost today! We understand your time is valuable, and we take great pride in having staff immediately available when you call for assistance. In fact, more than 50% of calls are answered live by a representative. More importantly, the majority of your questions are answered in less than ten minutes from the time your call or email was received. This level of response is unmatched in our industry and appreciated by experienced and new customers alike. Occasionally, we bump into complex issues that need more time, research, and attention. If you are wrestling with a complex issue, and you feel you may need a dedicated customer support representative’s attention, please let us know. Many times, we are able to schedule a convenient time for a customer support representative to roll up their sleeves and help you through it. Simply ask a customer support representative by calling 800.756.0035 ext. 2, email customer support at support@su-inc.com or get in touch with me by email at alf@su-inc.com, and we can determine if this type of assistance would be a good fit for your situation! A subreport is a report within another report. Typically, a subreport is created and then added to a main report in order to include fields that are not within the report group (query) of the main report. Click here (or on the image below) to watch a 5-minute video demonstrating the steps to insert a subreport for requisition approvals into a custom purchase order format. In last quarter’s newsletter, the Trivia Challenge asked, Is there a way in Accounts Payable to make multiple vendors inactive based on their last check date? The answer is yes by using the Inactivate Vendors option which is accessed under the Options menu from within the Vendor File in Accounts Payable. Congratulations to Maria Dunlap from Leeds Public School District for being selected at random from the list of correct respondents and winning a USB flash drive. 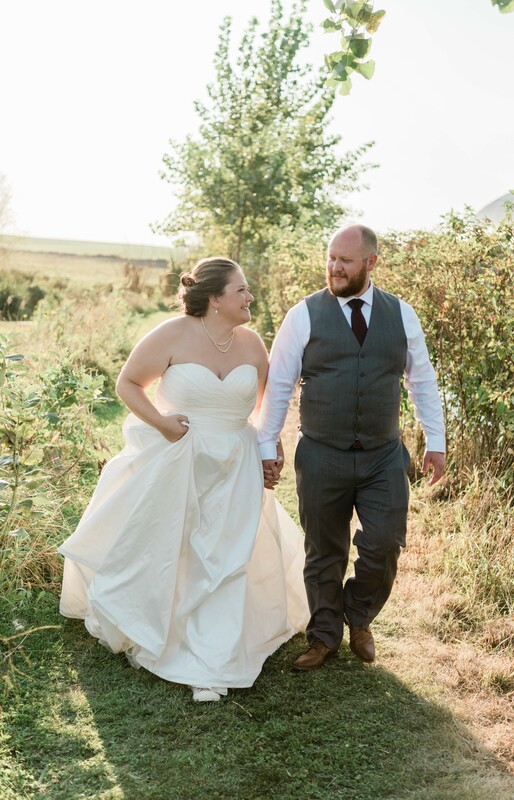 Juliane Burggraff, who works in the Training Department, married Colin Ingalls on September 8, 2018. The wedding ceremony and reception were held in the Sioux Falls area. We would like to congratulate the newlyweds and wish them the best! Click here to view a picture of the happy couple. Katie has been with the company since 2011, and works in both the Customer Support and Training Departments. She enjoys being able to help with support and training, as she loves getting out and seeing the customers at workshops, and also developing those relationships while handling calls day to day. Katie enjoys spending time with her husband as they love to travel, work on projects at home, go to concerts, and spend time with their friends and family, and their two dogs – Fudge and Hank.